This is a very simple, small, and cheap ($4) programmer. 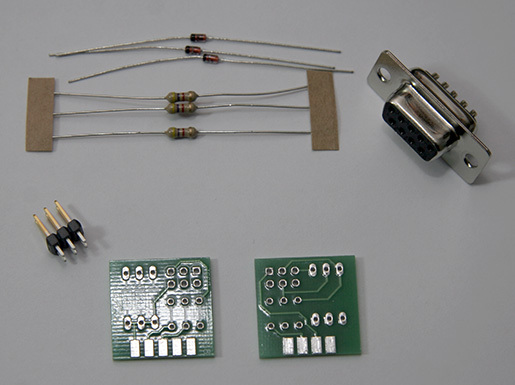 It does not have its own power and it only works with chips that support “serial in circuit programming” - so mostly ATtiny13a, ATtiny25, ATtiny45, ATtiny85, ATtiny2313, and such. It does not work with the whole Arduino line - ATmega168, Atmega328P, and Atmega644 (just get a USBtinyISP for $22 - this is all you ever need when it comes to AVR programming). It uses the smaller 6-pin ISP header (which I prefer). 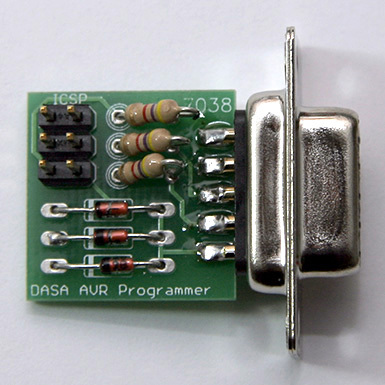 If you need a 10-pin ISP header you can either get an AVR ICSP Adapter or AVR Programming Adapter from SparkFun. Here are the lines that need to be changed in your Makefile (adjust the number of the com port, if necessary).